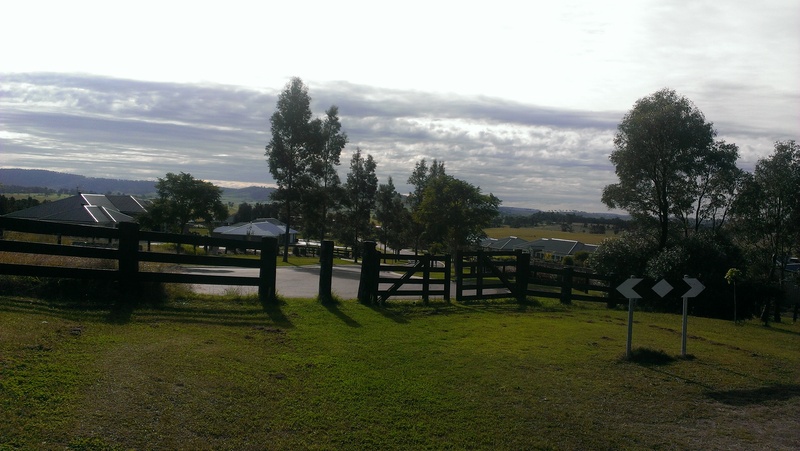 Summary: A lovely walk around a developing suburb at the outskirts of Maitland. Walk along nice, tree lined streets along some impressive properties, as well as through the more established area facing the airstrip. Start and finish is at a lovely viewpoint above the valley, perfect for a picnic after the walk. Take New England highway towards Lochinvar, turn right up River road just after the Maitland Aerodrome in Rutherford. Go left at Lerra road and then second left up Malia close and drive to the end of the cul-de-sac where you can park on the grass by the playground at Cecily Reserve. Walk back up Malia close and down Lerra road. Turn left down River road and then first right down Sandstone drive which is signposted as the entrance to Windella Rise. 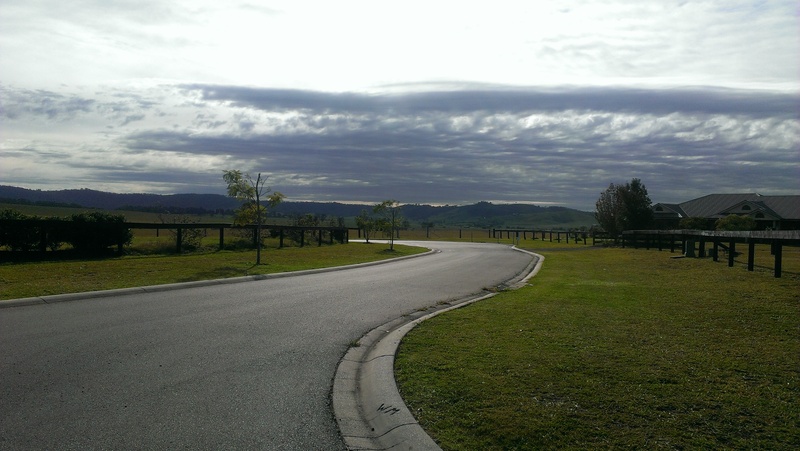 Stay on this until almost the end where you’ll see a road to your right; Lomandra place and go down here. It seemingly ends in a cul-de-sac but although you cannot drive, you can easily walk through the gate to Beacon Hill road. 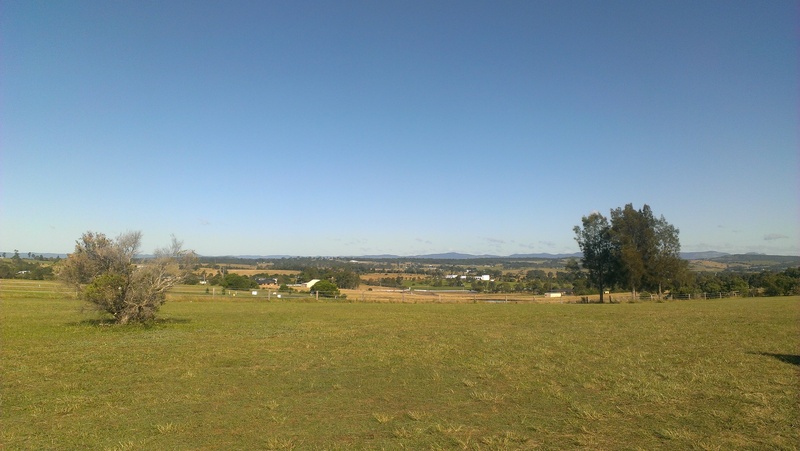 As you walk along here you get a good view of the airstrip, watch out for skydivers and perhaps some aerial acrobatics!